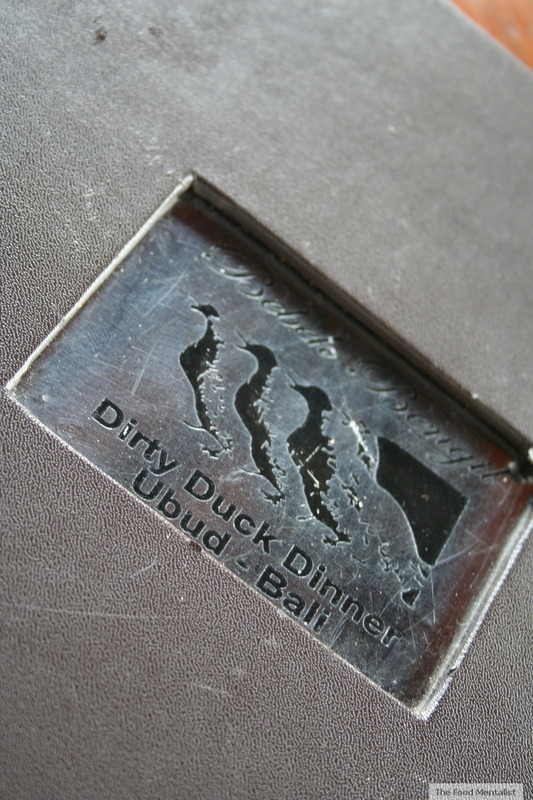 "The duck you 'have to have', but wish you didn't" says Pete as we leave the Dirty Duck Diner in Ubud, Bali. 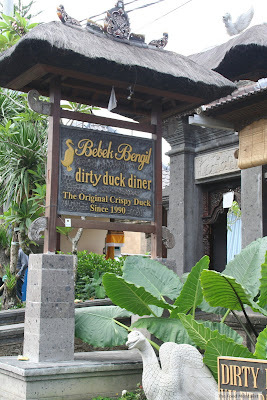 After hearing so much about this place prior to going to Bali we were pretty excited about visiting this diner which is renowned for its famous crispy duck. 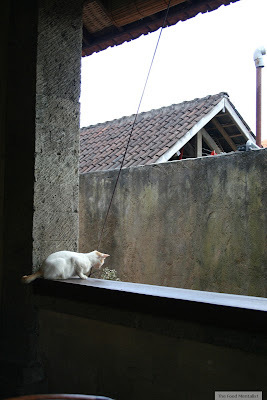 Pete is a duck loving fanatic so it was always going to feature on our foodie tour of Bali. Upon arrival we are ushered down through gardens to the back of this huge restaurant along with a large group of tourists who have also arrived eager for some crispy duck action. 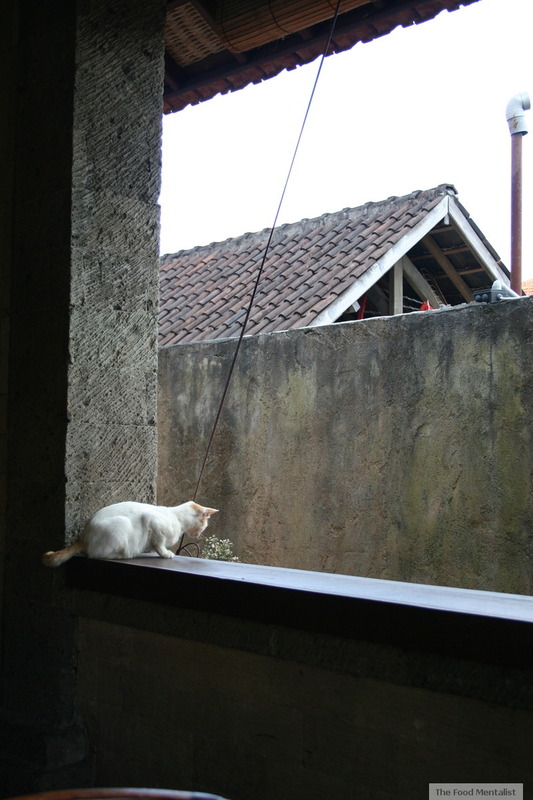 Upon being seated we are greeted by the resident cat - super cute and very hungry he watches us for any sign we may give him a scrap or two. To start, I order a Rambo Dirty Duck and Pete orders a beer. 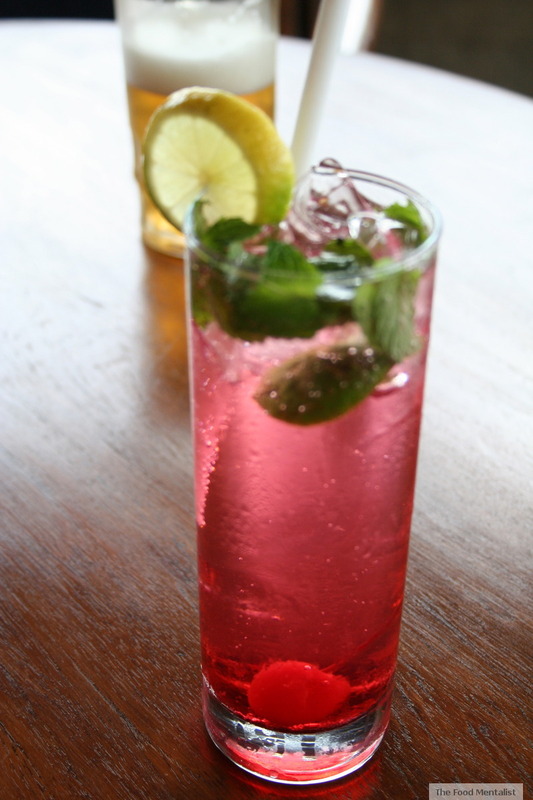 The RDD is a combination of sparkling mineral water, fresh mint and cherry - I was expecting something with some sweetness of which this has none, however it is refreshing. We order the Cumi Goreng Calamari to share as an entree. The calamari is coated in flour and Balinese spices and has been fried. The flavour is really nice and the calamari very tender. 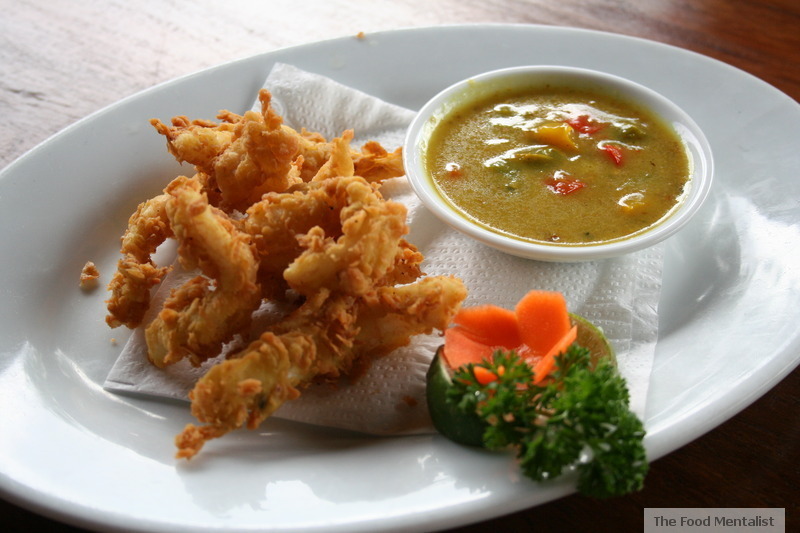 It is served with a curry dipping sauce which is quite mild and has a slight tang. 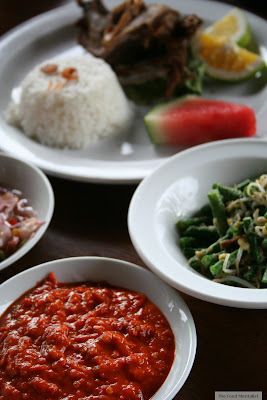 The duck is said to be steamed in Indonesian spices and then fried until crispy and comes with a choice of rice or sauteed potatoes, a sambal, some spicy onions and crispy green beans. It is not long before our crispy duck arrives. Pete ordered his with rice and I chose the sauteed potatoes for something different. Do you like my sauteed potatoes? 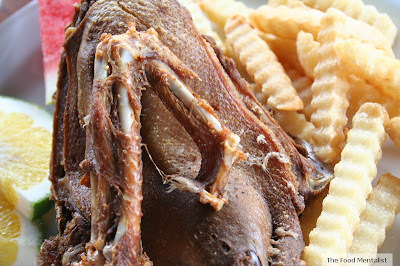 We both agree that the duck's crispiness is borderline leathery, the meat is very dry and not at all pleasant. The (sauteed potatoes) aka crinkle cut chips do not taste very fresh and leave behind an awful oil taste. We decide not to risk dessert and leave in favour of a walk and some shopping. Along the road we spot this cute little guy. 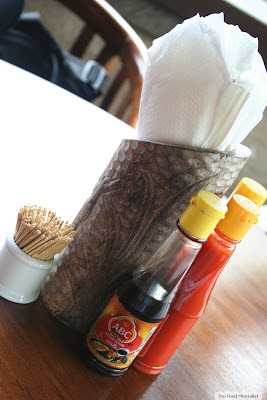 Tell me, have you ever visited a restaurant that hasn't lived up to it's hype? Oh wow, perhaps the name indeed says it all and all the hype was created by friends who had been duped into going, only to expereince the same disappointment? My most recent expereince was actually at the Press Club - having eaten there BEFORE Masterchef, and again shortly into the first series, I was definitely not impressed by the meal a couple of months ago. Shame, because the food used to be good enough to write home about. I think you are right, the name might have been a sign. 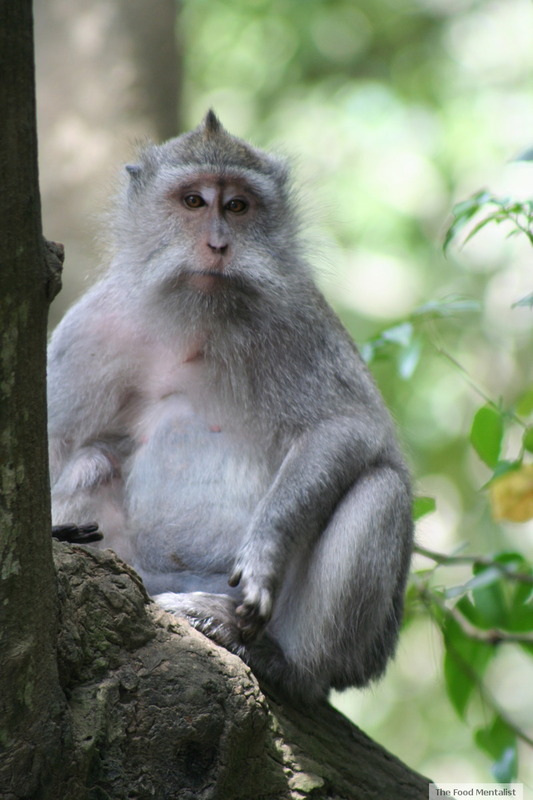 Its funny because we told our local Balinese driver that we had been there and before we could tell him what we thought he mentioned that it is very dry and not very nice which made us feel better about our experience as he is a local! Surprising re Press Club, have never been but always wanted to so I'm glad I know. I often wondered about the influence of MC on their ability to maintain quality at the restaurants they are involved in. It makes me so cranky when a restaurant leaves me feeling sad rather than elated, as I always start obsessing over the more delicious things I could've used my tummy space for :P That said, the calamari looks far more crispy than what I've eaten lately, so that's something?! The duck doesn't look very appetising I have to say! :( What a shame, I loathe wasting meals on holidays!